Updated and now Editable! 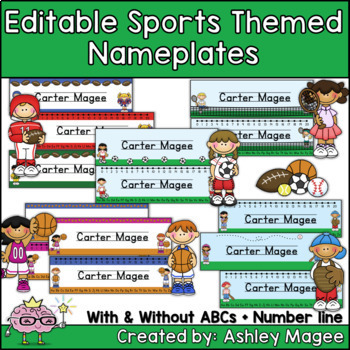 These nameplates fit perfectly with a Sports themed classroom. 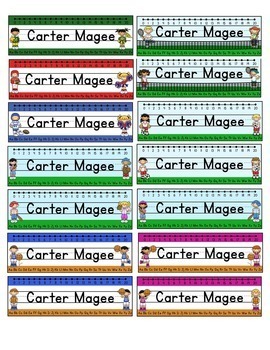 Stop buying nameplates year after year. 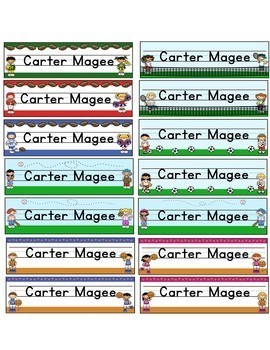 Buy this file and print nameplates year after year! Print and laminate for durability. 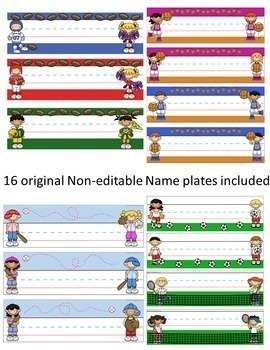 Sports themes included: Basketball, Baseball, Tennis, Soccer, and Football.